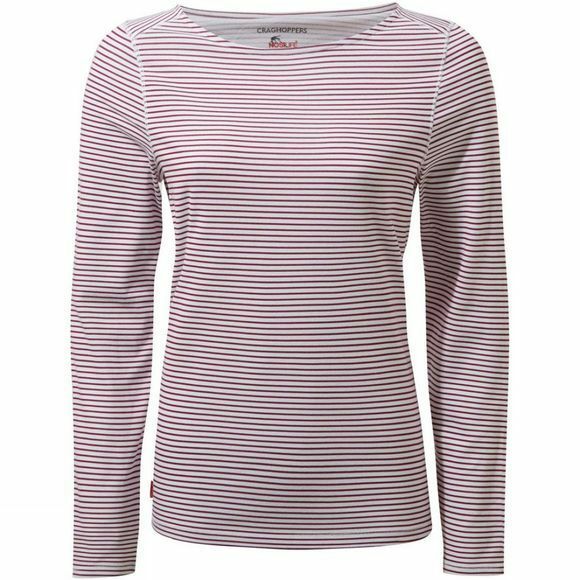 The Womens Nosilife Erin II Long Sleeve T-Shirt from Craghoppers is a versatile top that celebrates travel. The elegant striped and plain options have a relaxed holiday vibe that mix and match perfectly with Craghoppers’ seasonal shorts, skirts and trousers. The quick-wicking, odour-control fabric helps you stay cool, while the inbuilt NosiLife insect protection guards tender skin from biting bugs.